Nicolle has practiced massage since 1998, constantly keeping up to date with professional development, training and research to improve knowledge & practice. 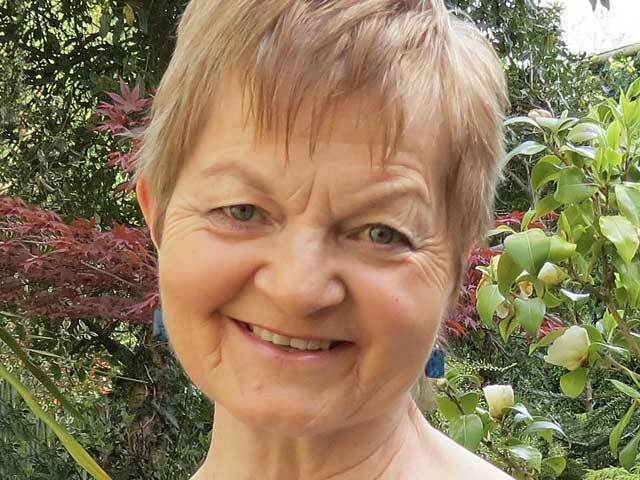 She has a general practice in Redruth where all are welcome to experience the benefits of her holistic and integrated approach to massage & wellbeing. Nicolle has worked therapeutically with children, young people & people with special needs for over 20 years, specialising in the field of dementia in 2006. This led to her developing an approved/accredited course about “How to Massage People with Dementia” in the UK. This is the first course of its kind in the UK. In October 2012 Nicolle was awarded an “Excellence in Practice Award for Innovation” in London by The Federation of Holistic Therapists (FHT) for developing & delivering this course. She delivers training across the UK & provides bespoke packages in to fit in with the training needs of the organisations she works with. She conduct talks, seminars, workshops & presentations on a wide variety of health issues for organisations, particularly in her specialist field of dementia & regularly advises colleagues in her areas of expertise. Nicolle regularly visit clients who live with dementia to administer integrated massage treatments which involve aromatherapy, validation therapy & reminiscence work. She also visits the local community hospital where people with mental health problems and/or learning difficulties are treated. Nicolle produces her own brand of 100% natural aromatherapy products; TLC in a Bottle which includes a range, “Sense & Season” designed to encourage positive reminiscence, & further address mental, emotional, physical & core issues, especially for people living with dementia. Nicolle worked for Outlook Southwest, travelling across Cornwall delivering information sessions to carers, friends, family & neighbours of people who live with dementia, giving practical tips regarding behaviours that challenge, communication, stress management as well as signposting to vital support services. This work also included supporting groups of carers, friends & family on how to use Cognitive Stimulation Therapy at home to help exercise loved one’s brains. Nicolle also currently works part-time for the local Peninsula Community Health Trust who provides health services on behalf of the NHS. Working in the adult speech and language department she provides support to the therapists delivering services & support to enable clinical rehabilitation to people who have issues with speaking & swallowing. Nicolle loves that all her roles overlap & enrich each other enabling her to deliver with passion & keep her approach fresh & exciting.